I wasn't too sure where to put this, hopefully show discussion is the right spot. And what I mean is, would we be able to use the same gadgets and vehicles they do and apply them to the real world? Of course the outfits can be easily made, I don't see the cyclotron being a problem to make either besides the missiles. But what about everything else, could we carefully fly through a city in a large jet? Have everything we need at our disposal? And what about a hideout that no one could find? It's a lot to think about. Probably not, at least not to the extent that they do it. Realism, obeying the laws of physics, isn't really SWAT Kats' strong suit. Some of the missiles could work, I guess, and a jet like the Turbokat is certainly possible. Flying in-between skyscrapers with a jet the way T-Bone does on a regular basis, though, while, again, possible, would be needlessly dangerous and risky. As for hideouts nobody can find, there's plenty of those over the years. Kooshmeister wrote: Probably not, at least not to the extent that they do it. 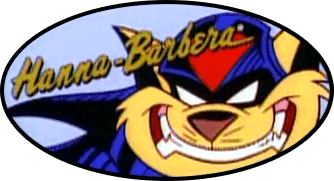 Realism, obeying the laws of physics, isn't really SWAT Kats' strong suit. A gauntlet with a retractable shield, possible, even one with folding parts (maybe going with the method Static Shock used with his folding flight disk for the unfolding?). Small non-lethal munitions for it wouldn't be impossible, like the bola, the net, all else fails, beanbag rounds or rubber bullets if you make one barrel just a plain old miniature shotgun. I've had a sort of idea for a forearm mounted fire extinguisher for firefighters for years, so why couldn't a real Glove-a-Trix exist? It might even be easier and possibly cheaper. Civilian models for self defense would be neat, too. I think the most useful thing would be helmets with a Heads-up Display and multiple vision modes (low light, night vision, UV shield) and built in communicators. Coordination is key for catching criminals. That's why the police get things done; working together and having superior training. Jets steer clear of cities due to how difficult it'd be to maneuver between the buildings. The required reflexes would need to be near precognitive to avoid massive collateral damage. The idea, itself, is the definition of Awesome, but Impractical. The rest is maybe, MAYBE, Difficult, but Awesome. It all depends on how much a real Glove-a-Trix would cost (Awesome, but Impractical if too expensive, or something only given to special groups). If the world had laws allowing freelance vigilantes to deal with criminals, assuming they otherwise made every effort to preserve evidence and perhaps use body cameras like the police, it might make some places safer. Hard for the police to miss a masked vigilante or a group showing up with drug dealers and video evidence. Add in the Glove-a-Trix gadgets and you get heroes all over the place. Side note, I'd love to have access to the footage. Especially if some weedy little gang member tried to fight some MMA trained fighter with 80+ pounds and at least half a foot of height on them. I can't lie about just how much I love one sided fights. Like that video of a bunch of punks in, I think, Russia picking on an older man, and he just one shots three or four of them (Don't worry, they lived. He just knocked them out.) and walked away after telling the rest off. I don't know the man, but he has my respect. They did that on Elemental Gelade so the Swat Kats could be the next in costume with those folks in South East. 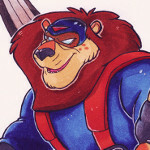 The Equipment of the Swat Kats would be derive from the materials these Elemental Gelade persons utilize except in the forms of Swat Kats and their patterns. Which would be neat to take a shot of probably with a few bad guys so there are like 5 characters or something to photograph. Might be amazingly exciting though.